CONCORD, N.C. (Oct. 28, 2018) – Jimmie Johnson has found a full-time ally in his mission to win a record-breaking eighth NASCAR Cup Series championship. 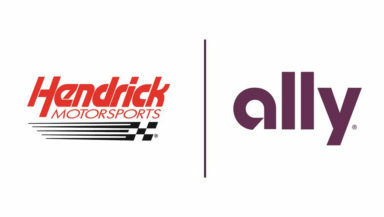 Ally Financial will join Hendrick Motorsports as the whole-season primary sponsor of Johnson’s iconic No. 48 Chevrolet Camaro ZL1 team in 2019 and 2020. The partnership will feature the leading digital financial services company on the champion driver’s cars across the entire 38-race NASCAR schedule, beginning with 2019 DAYTONA Speedweeks and the 61st running of the DAYTONA 500. With a commitment to doing right by its customers, Ally has changed the online banking landscape with innovative digital experiences, 24/7 customer service, great rates and a cash-back credit card. Ally’s full scope of financial services offerings includes its award-winning online bank, auto finance and insurance businesses, digital wealth management and online brokerage platform, mortgage-lending services, and Corporate Finance operation. Its corporate citizenship programs include charitable giving, employee contribution matching, volunteerism, financial education, Ally Grants and more. Johnson and the No. 48 team have cemented themselves as one of the greatest dynasties in sports. Their record-tying seven Cup titles – equaled only by legends Richard Petty and Dale Earnhardt – include five in a row from 2006-2010. In 2009, Johnson became the first race car driver ever to be named Associated Press Male Athlete of the Year, joining the likes of Muhammad Ali, Michael Jordan and Tom Brady. The El Cajon, California, native has earned 83 points-paying race wins and led more than 18,000 career laps. He made his record 15th consecutive playoff appearance this season. Ally Financial Inc. (NYSE: ALLY) is a leading digital financial services company with assets of $173.1 billion as of Sept. 30, 2018. As a client-centric company with passionate customer service and innovative financial solutions, Ally is relentlessly focused on “Doing it Right” and being a trusted financial partner for its consumer, commercial, and corporate customers. Ally’s award-winning online bank (Ally Bank, Member FDIC and Equal Housing Lender) offers mortgage-lending services and a variety of deposit and other banking products, including CDs, online savings, money market and checking accounts, and IRA products. Ally also promotes the Ally CashBack Credit Card. Additionally, Ally offers securities brokerage and investment advisory services through Ally Invest. Ally remains one of the largest full-service auto finance operations in the country with a complementary auto-focused insurance business, which together serve approximately 18,000 dealer customers and millions of auto consumers. Ally’s robust corporate finance business offers capital for equity sponsors and middle-market companies. For more information and disclosures about Ally, visit https://www.ally.com/#disclosures. Founded by Rick Hendrick in 1984, Hendrick Motorsports has earned 252 points-paying race victories and a record 12 car owner championships in the premier NASCAR Cup Series. The organization fields four full-time Chevrolet teams on the Cup circuit with drivers Chase Elliott, William Byron, Jimmie Johnson and Alex Bowman. Headquartered in Concord, North Carolina, Hendrick Motorsports employs more than 600 people. For more information, please visit HendrickMotorsports.com or interact on Twitter, Facebook and Instagram.